Benefit from these two monochrome A3 systems with flexible configuration which cover the basic needs of modern businesses. Based on sophisticated technology the e-STUDIO 2309A /2809A easily integrate into networks and are intuitve to use. Designed to meet the highest environmental standards, both models help save valuable resources. 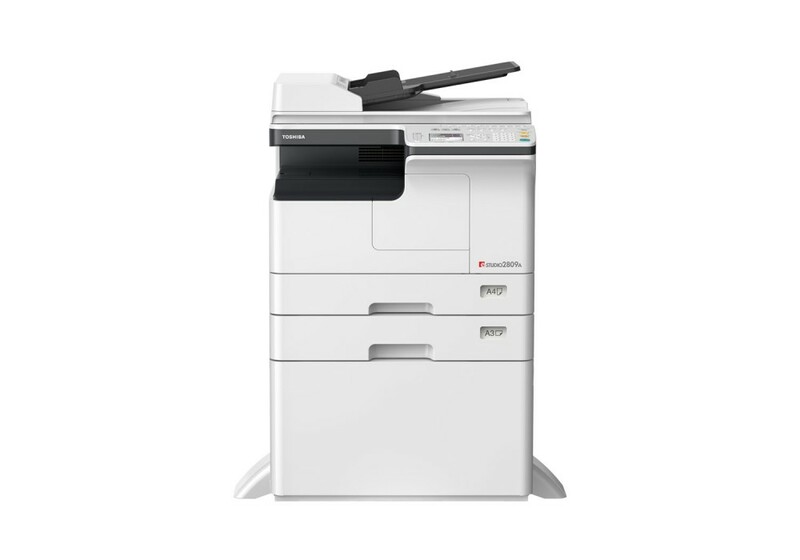 What ever you need, Toshiba’s monochrome printing systems are there to support you. Packed with multifunctional potential the e-STUDIO2309A /2809A deliver outstanding performance. Brilliant prints, crystal-clear colour scans and quick copies are packed in stylish design. Add the optional fax and these systems can meet all demands of a modern office environment.